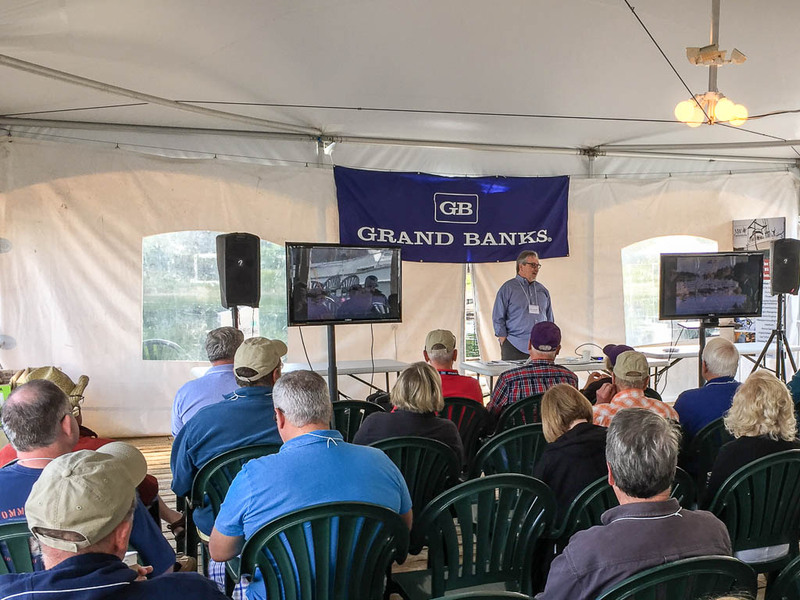 Dave Northrop from Grand Banks started the morning out discussing what’s going on with Grand Banks. Questions ranged from their current models to what’s going on with the gbshipstore.com site. 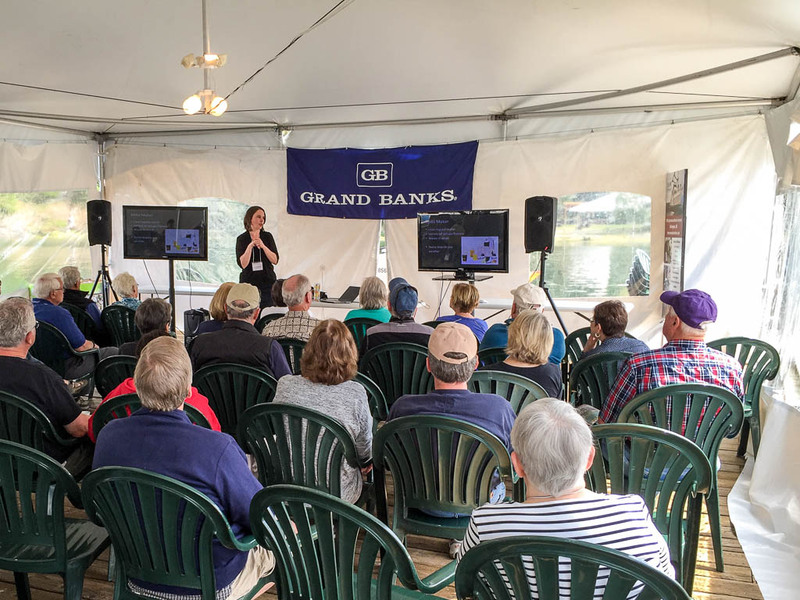 Everyone wants Grand Banks stuff like shirts and hats, and stuff. 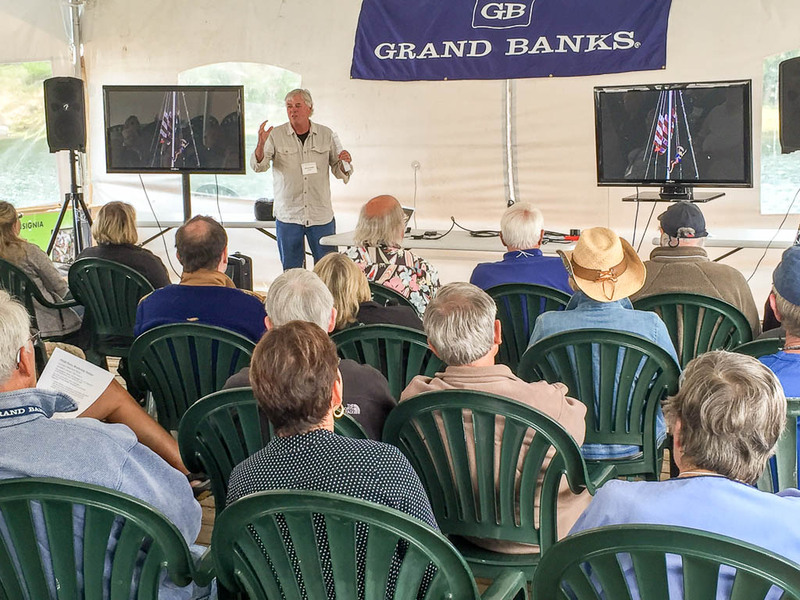 Well known photographer (a former National Geographic photographer) and Grand Banks owner, Phil Schofield talked about how to make great photos using your smart phone. The rendezvous culminates each year in a dinner Saturday night on shore in a big tent on the grass. 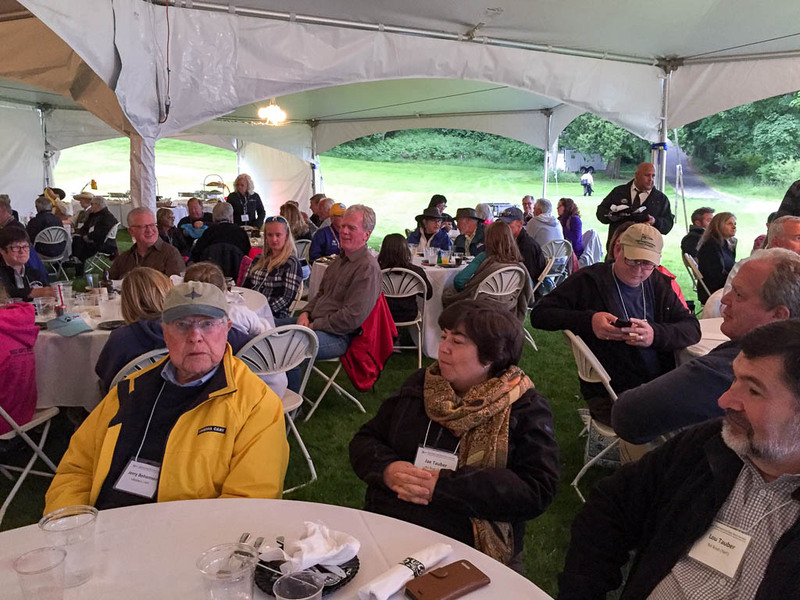 The Roche Harbor folks do a great job catering the event. 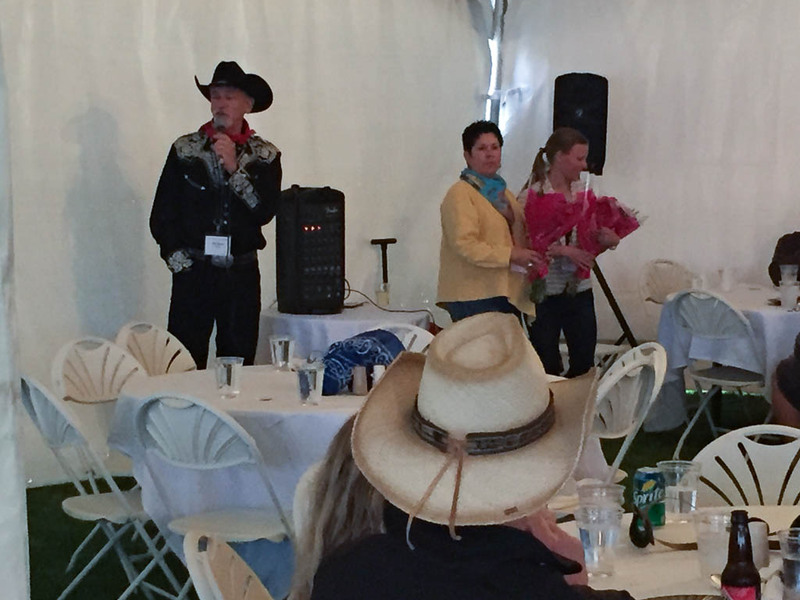 Bill Davis, the PSGBOA president, Patt Aiello, this year’s rendezvous chair, and Leslie Simmons, the PSGBOA secretary. And thanks again to all the sponsors that help make the rendezvous possible! We are headed home early tomorrow morning. The weather report looks “interesting”. I don’t think the trip home will be as calm as the trip up. This entry was posted in Destinations, Friends, Interesting and tagged Archimedes, boating, Grand Banks, Grand Banks 42, Grand Banks Rendezvous, Pacific Northwest, Puget Sound, Puget Sound Grand Banks Owners Association, Roche Harbor, Salish Sea, San Juan Islands, Seattle, Trawler, Water Filter, Water filtration by Rusty. Bookmark the permalink.